It is a new channeled course of material unlike what has been given before. It is the first of a two-part series consisting of seven channeled sessions. The cost of the first 7-week series is $168.00. Transcriptions available. Please read more and register by going to the series' webpage. A teleconference number will be provided prior to each class and after your payment is received. Our Angelic series comes next followed by Part 2 of "Sign of the Times" in January 2018. Check out your email for our new flyer and/or our website this coming week for more details. It is with great pleasure that I come to you with tidbits of wisdom and perhaps words that will comfort you during these changes on Earth. Even though there are many things going on, you are able to create your own reality you live in. It's all about intention and how you wish to focus on life. It comes from within, you see, so stay in that higher vibration as you go through your day. Focus on the positive; focus on the most loving situations you can imagine and this will bring it through to your outer world. Loving thoughts and acts of kindness will raise you up and many wonderful things will come to you in that vibration. Miracles will abound and joy will be felt in your lives. This is how it was meant to be. Open your hearts and let others in; be appreciative of all the beautiful people around you and connect with them. Let them feel that love and joy coming from your being. Be the comfort that they are looking for; you just have to connect. Bless you dear family of light, and go about your day in love with life. 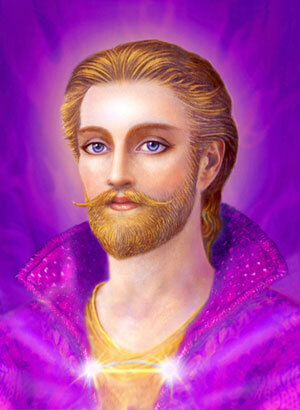 I AM St Germain always at your service. To learn more about Shirley's work go to her RTTO webpage.